Hi-Fi Harmony 2015 was a great success. John Rein, owner of Audio Video Therapy & the host of the show, was very charismatic and effusive and a pleasure to be with. Attendance was roughly around 100 people. Not only was it very well attended, the attendees felt the novelty of being able to listen to Luxman in New Hampshire! 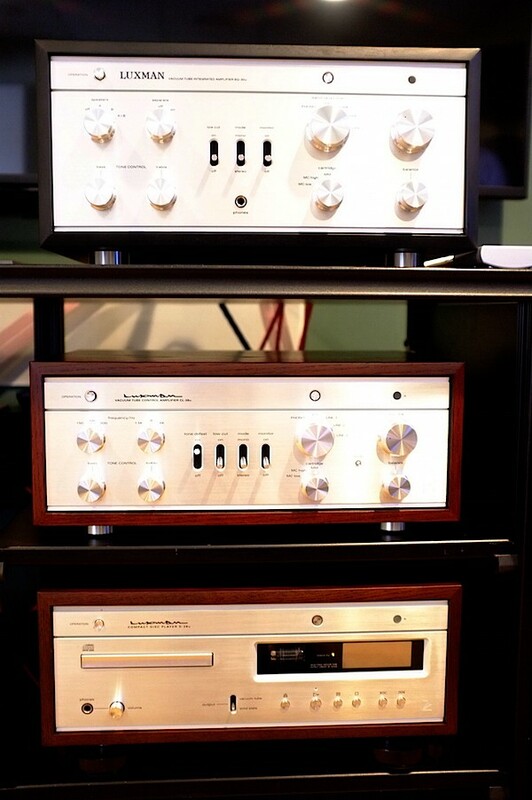 Little did I know there are lots of Luxman enthusiasts in N.H.greeting me with their war stories about their vintage Luxman gear, how long they last and how satisfied they are with it. Hi-Fi Harmony opened 10 active rooms during the show and they had manufacturers and representatives demonstrating products in each room. I felt honored that Michael Kelly from Aerial acoustics was in the room adjacent to me. Our A/B test: We played Ray Brown’s “Live At The Loa” and we compared the DSD file taken from SACD against another transcription, this time of the Analog Master Tape played into a Horus with its own analog to digital DSD converter. We found that the Horus, which was the more recent technology, sounded dramatically better. It was more open sounding, had better defined bass, with a more three dimensional soundstage and it was the difference basically of about 6 or 7 years of technology in analog to digital converters. Clearly the Horus is extremely good. Partial playlist: We played Philip’s Demo XVII CD and everyone loved the Bruce Springsteen track “Mansion on the Hill”, from Live in London along with Tower of Power. The Totem Element speakers had no midrange crossover therefore had an immediacy and directness that was a pleasure to listen to. The bass was decent, not in the same league as the GIYAs but also at a fraction of the price. Another interesting feature of the Totem speakers was that they could be placed very close to the back wall. This entry was posted in Show Reports and tagged Audio Video Therapy, CL-38u, D-38u, DA-06, Hi-Fi Harmony, Horus, Luxman, Nashua, New Hampshire, SQ-30u, Totem Element speakers.